Over its long history in lens making, Pentax have more than once pitched in with lenses that take on the very best that the Zeiss and Leicas of this world have had to offer. Challenging the best standard lenses of their day, we have had the Super-Takumar 50mm f/1.4, and the SMC Pentax-FA 43mm f/1.9 Limited, both highly respected and the latter even seen in Leica mount. 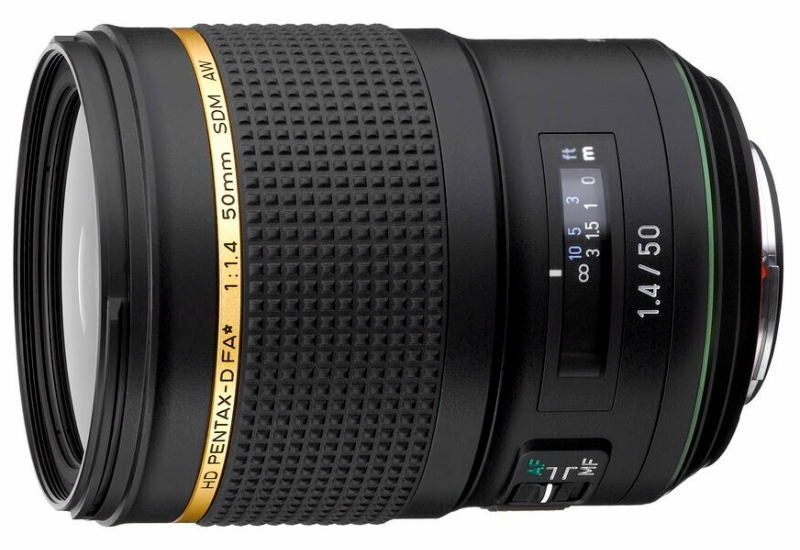 We now have the HD Pentax-D FA* 50mm f/1.4 SDM AW lens, challenging in size and weight the Zeiss alternatives and aiming perhaps to challenge them in quality as well. Let's see if this has been successful, reviewing the lens here using the full frame 36MP Pentax K-1 II body. Pentax have always offered fine, compact lenses and the first impression here is that the new 50mm lens is instead very heavy and very bulky, weighing in at a substantial 910g without hood or caps. However, once fitted to the K-1 II, and by easy inference the K-1 as well, it balances amazingly well. It no longer feels or looks out of place, just very well suited. The longer it us used, the more appropriate it feels on the full frame bodies. There is a provided petal lens hood that bayonets cleanly into position. In common with many Pentax hoods, there is a small removable window that enables polarising filters to be rotated whilst the hood is still in position. Within the bayonet fit is a standard 72mm filter thread. 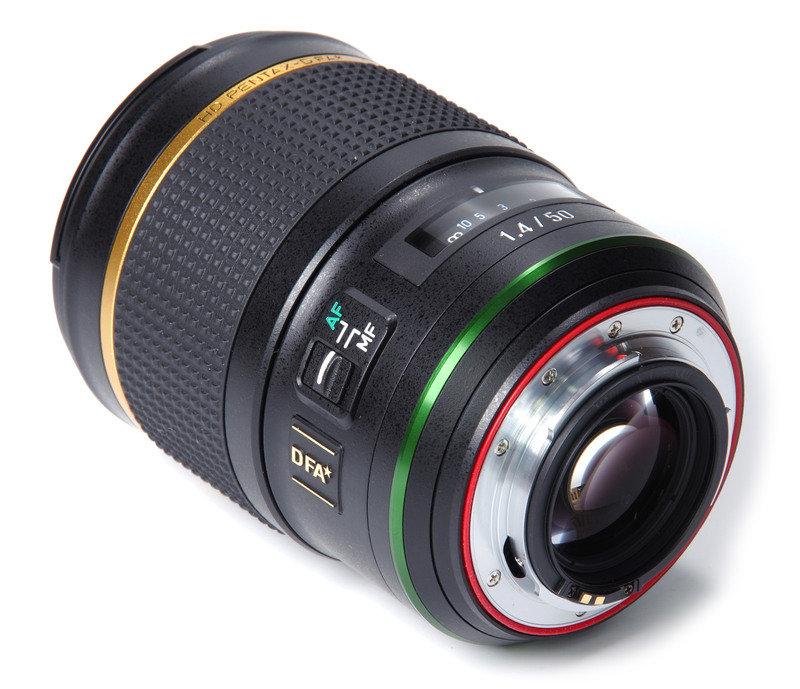 The rest of the front of the lens is filled with the large front element, coated with a Fluorine Super-Protect layer to repel grease and moisture. The lens is also coated throughout using Pentax's new HD multi- coating plus their Aero-Bright II nano technology to eliminate flare and ghosting. The lens has an AW (All Weather) designation and as much of the review period was characterised with lashing rain this proved to be very useful and absolutely up to the job. The only rotational control is the manual focus ring, which continues to be operational during AF. This QuickShift feature enables fine tuning of the focus position when AF has locked on. Behind this is the plastic window that reveals the distance scale, clearly marked in feet and metres. There is no IR correction mark and no depth of field scale. There is an AF/MF switch. AF is achieved using a new, more powerful SDM (Supersonic Direct Drive) Motor and this is fast, silent and very accurate. Focusing is down to 0.4m, or 1.31 feet, giving a maximum magnification of 0.18x, very slightly closer focusing than traditional lenses. 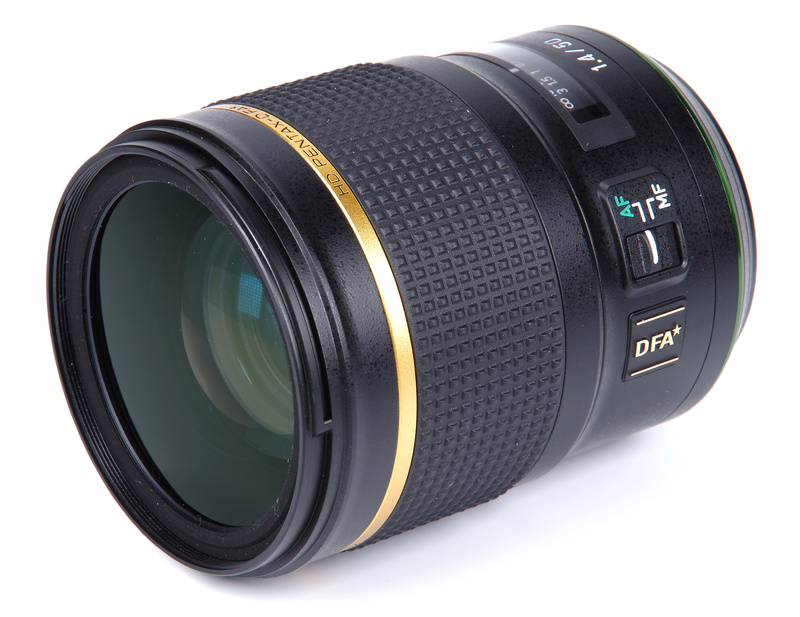 The lens uses Internal Focusing and therefore does not change length. The Pentax K mount here finds itself in the form of version KAF4, enabling the use of the electromagnetic diaphragm of 9 rounded blades. This offers more accurate, quieter stop down, a benefit to both stills and video photographers. This new system requires a compatible body, if necessary via a firmware upgrade. Compatible bodies are the K-1, K-1 II, K-3, K-3 II, KP, K70, K-S1 and K-S2. Other models will only be able to use the lens at open aperture. Optical construction is 15 elements in 9 groups, a long way from the traditional 7/6 construction. There are also 3 Anomalous Dispersion and 1 Aspherical elements. Clearly a serious bit of glass. The bayonet mount is the usual Pentax quality, secured in this instance with no less than 7 screws. Many lenses have only three screws to retain their mounts, so hopefully this is indicative of a very strong and long lasting mount for this heavy lens. 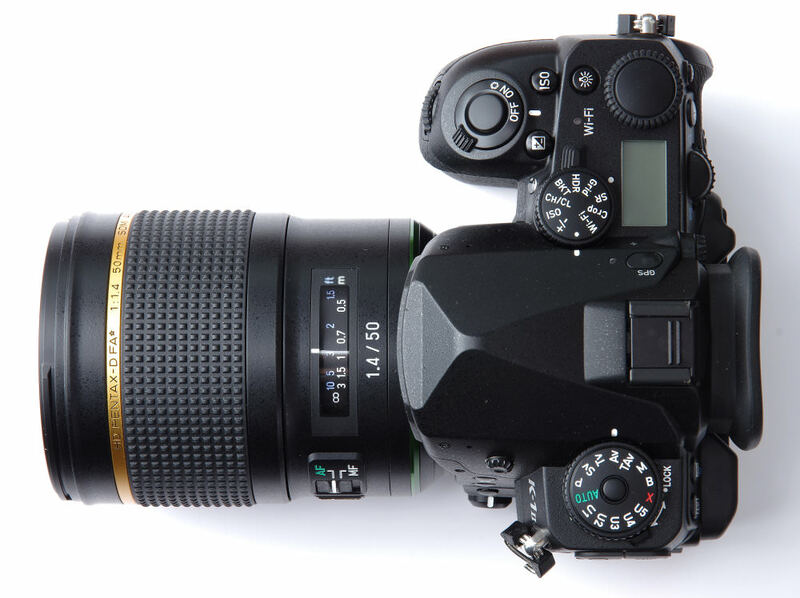 There are no handling issues – the lens operates flawlessly and is a total pleasure to use. AF is fast, balance is excellent and the all weather construction gives confidence to keep on shooting regardless of the weather. I have a Pentax 50 1.4 fitted to my old MX. It is tiny compared to that. So is the camera come to think of it. Glad I changed to m43! Wow the HD D FA* 50 looks fantastic. Would be a stretch for me but I'm tempted. £1200 for a 50mm f1.4? Canon 50mm f1.4 is less than half of that and I could buy the canon 50mm f1.2 L for same amount. What would make me switch to Pentax? Looks excellent, having seen the technology included on the Ricoh website I would think that the price is reasonable. I am tending to go away from zoom lenses and use primes as they encourage moving around a location to get the right composition. (Where possible and practical!) It would fit nicely on my Pentax KS-1. Looks excellent, having seen the technology included on the Ricoh website I would think that the price is reasonable. It would fit nicely on my Pentax KS-1.